With my 17-year-old daughter headed to college, I tried out the new college scorecard tool launched by the Obama administration following the president’s State of the Union address. I was not impressed. Some links didn’t work and certain information I wanted wasn’t there. Overall, the tool just didn’t add much value to help our family figure out which college would be most affordable. “Net price is what undergraduate students pay after grants and scholarships (financial aid you don’t have to pay back) are subtracted from the institution’s cost of attendance,” the scorecard tells us. Designed by the Department of Education, the scorecard includes the average net price data for in-state students, the school’s graduation rate, loan default rates, and median borrowing. Oh, and the data used for the average net price are for the 2010-11 academic year. Honestly, given what I’ve been experiencing and after talking to numerous other parents, the college scorecard doesn’t address our most pressing needs. What would help more would be an intensive ­effort by the administration to bring down the cost of college so families wouldn’t have to borrow so heavily. During a recent college tour, we saw one parent become very disheartened because her daughter, a good but not great student, wouldn’t be able to ­afford the cost of college — and she was a state resident visiting a state school. If a degree is a ticket to a middle-class job, then we’ve got to do something about bringing down the price of attending. Even with a lot of merit and need-based scholarship and grant money available, there isn’t nearly enough to go around. My daughter Olivia, who has excellent grades, applied to four colleges. She was accepted at North Carolina A&T, Towson University, and the Honors College at the University of Maryland, College Park. The University of North Carolina in Chapel Hill turned her down. My heart sunk when ­Olivia didn’t get into UNC. But the penny-pincher in me was jumping for joy. We’ve saved for her education, but not enough to pay the $43,848 annual out-of-state price for UNC. Across the country, families are now waiting for their letters that lay out how much money their kids might get to finance their educations. We are waiting to see if our kid gets a grant, scholarship, or work study from the colleges. If that money isn’t offered, many families will opt for loans. We won’t borrow. 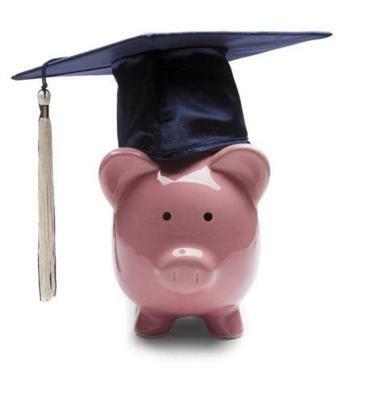 We hope if our daughter gets aid, we can use what we’ve saved to help her finance an advanced degree, which is increasingly required for many fields. Roberto Rodriguez, special assistant to the president for education, said the scorecard is meant to be part of a suite of tools that families can use to help in the college selection process. You can find the tools by going to the National Center for Education Statistics’ website (www.nces.ed.gov) and searching for College Navigator. A useful tool I’m looking forward to is one the administration previously announced, a financial aid shopping sheet. The administration has gotten more than 600 colleges to agree to provide important financial information to incoming freshmen starting with the 2013-14 school year. As part of their financial aid packages, the schools said they would disclose some key information. This includes providing estimated monthly payments for the federal student loans that graduates will likely owe. The shopping sheet is a tool the administration should demand that colleges provide. Right now it’s only voluntary.